We all know men need a place for themselves to escape with their mates or for some general quiet time. Known as the man cave, it’s the place a man hibernates in to recuperate. But what about women? Don’t they deserve to escape to their own place for quiet and relaxation? Enter the she shed. The she shed is the feminine man cave. It’s a hide out for women to escape the daily grind. She sheds are a new trend that are sure to become a popular space for women to work in or lounge in to get away from the busyness of life. Most she sheds have a purpose. For some it’s a place where they can do art and be creative. For others it’s a place to lounge in silence to read or study. She sheds can’t be misunderstood as a lady room. Lady rooms are specifically for getting dressed and are usually more commonly known as a dressing room or walk in robe. The she shed is often housed in a separate building in the yard or side of the house. It could even be in the garage. A shipping container can be converted into a she shed. The styling should be individual and should appeal to the owner’s needs. This space has an oriental bohemian feel. This She Shed has been decorated with a shabby chic feel using fairy lights and hanging pom poms and lace décor balls. She sheds can include pool tables. This pink one would definitely suit a lady cave space. This Victorian style she shed is nestled in the backyard of a home in New York City. The interior is the ultimate feminine retreat. 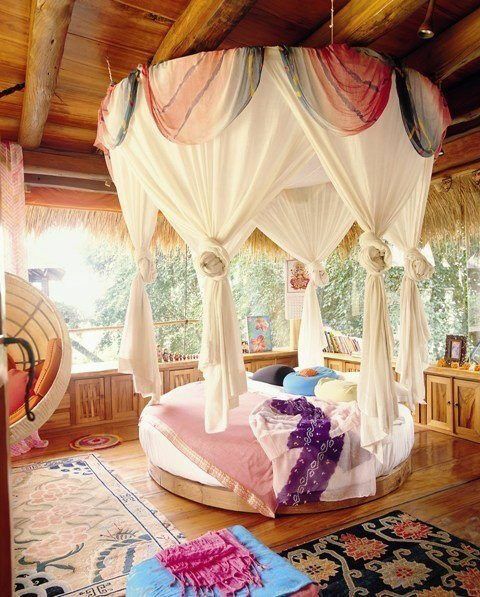 Drapes and day beds layered with cushions and throws can soften the she shed interior. A garden shed can be converted into a country rose style retreat. Cindy Goode has a she shed that is used as a place to paint and relax. The extra space provides a great cosy atmosphere for a dinner party. 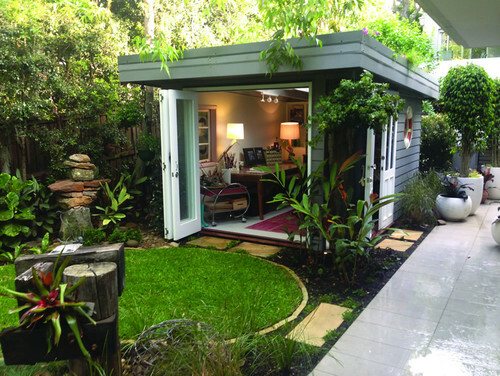 Cindy’s She Shed was created by Adore Design and Landscapes and a is a great area to entertain in when not used as a studio. She sheds are going to become a popular space for interiors in the future. If men can have their own space, women should have one too. Do you like the concept of a She Shed? Do you have a She Shed? What would you have in your She Shed?